At Shady Acres Pet Resort we believe that a clean dog is a happy dog! Dogs staying with us are groomed each week of their stay to provide one-on-one human interaction and to keep up your pet’s good health by regularly checking for parasites and to keep skin and hair healthy. 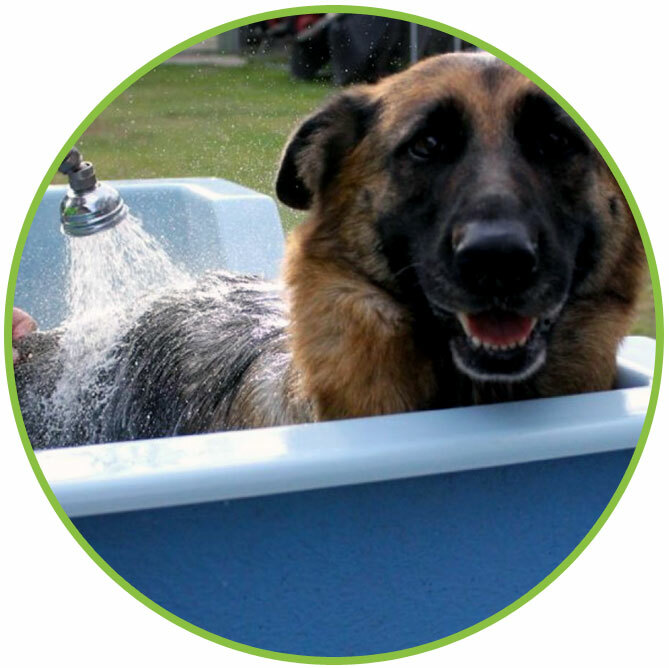 We also provide a free professional shampoo and hydrobath to each dog before they leave, and dogs are hosed down during the peak of summer to keep them cool and stress free.